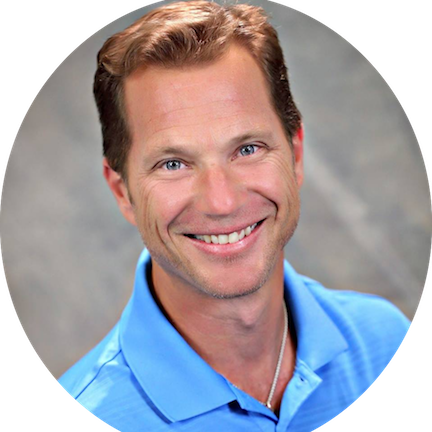 Paul Elsass has worked in the health and wellness industry for over 25 years. The majority of his time was spent working for employers in an effort to improve the health of the employee population and on general population health. Elsass has a BS in Kinesiology from the University of Texas at Austin, and a masters degree in healthcare management from Northern Arizona University. He is also a certified exercise physiologist through the American College of Sports Medicine. Elsass has worked for multiple startups in the healthcare space, including ShapeUp, MapMyFitness, Skimble, and Medikeeper. He joined Vivante Health in 2017 as the Senior Vice President of Business Development. Over 70 million Americans have a digestive disorder, more than double the number of people with diabetes. At Vivante Health, we recognize that the status quo for treating gut trouble is costly, cumbersome, and largely ineffective. So, we’re doing something about it. Our mission is better gut health for all and to reduce the healthcare costs associated with digestive conditions. Through a personalized, multidisciplinary approach, our digital health program uses cutting-edge science, coordinated care from a team of gut health pros, 1:1 human interactions, and scalable technologies to do just that. Simply put, we are the digestive health experts. No other digital health program and coordinated care solution exists for people battling digestive disorders. U.S. Domestice Medical Travel (USDMT): Vivante is an interesting model – a coordinated care model for digital health in the digestive disease space. Tell our readers how this got started. Paul Elsass (PE): Let me give you a little background on Kimon Angelides, Founder and CEO, Vivante Health. His story begins in early 2000 when Kimon, who has a PhD as a biophysicist, was working in chronic care. He came up with a concept for coordinating care in a brick-and-mortar facility, and began to address diabetes, one of the most prevalent chronic conditions. The idea behind his concept was this: instead of making these individuals go to multiple specialists and having to figure out how to navigate the healthcare system, he put everything in one place. Diabetes America was one of his first companies. In 2008, he asked the question, “How can you scale coordinated care?” The bricks-and-mortar model was expensive and posed difficulties in achieving patient reach. He then came up with a company, still in the diabetes space, called EOS Health. This became Livongo, which offers glucometer and strips that Dr. Angelides invented and patented. USDMT: How does the device work? PE: What’s interesting about that device is that it has its own cell phone chip so you don’t have to sync it with your mobile phone. You simply receive your device and strips as part of your health plan. Furthermore, it’s a first-dollar benefit so there’s no cost to the employee, and no copay. It is bundled with a service for a monthly claim amount and is cheaper for the self-funded employer. So, it was really a win for everybody. If anything is out of the norm with an employee’s blood sugar or any other biometrics that are maintained by the device, they immediately receive a call from a diabetes educator. USDMT: Is this a template for other disease state monitoring? PE: Fast forward to 2015. Dr. Angelides left Livongo and decided to look at the pattern in a number of chronic conditions that are stigmatizing, isolated or invisible. After reviewing medical and pharmacy claims, which were lumped into a category called “other”, we began to notice a pattern. There were many people who had severe chronic health conditions, where they may look normal, but in reality, they badly needed help. They were dealing with conditions that were invisible, neglected and stigmatizing, in many cases, and did not have access to the full set of resources they needed. The biggest category that our team decided to focus on initially was digestive diseases. Part of the reason is that nobody looks at this digestive category because the ICD9 and ICD10 codes for these conditions are scattered. They weren’t easy to see as a group, while diabetes was more clustered and easy to view. When we put them together and started looking at conditions like Crohn’s, Ulcerative Colitis, ostomy, diverticulitis, celiac, GERD and others, we saw that there are 70 million people in the US with digestive diseases, which is more than double the number of people with diabetes. So that was kind of shocking. The other thing that we’ve found was the exponential growth. When you think about something like diabetes, unfortunately, the comorbidities often lead people on the path for being at risk for stroke and heart attack, which ultimately means some of these individuals die at a younger age than they otherwise might have. With digestive conditions, people can live their whole lives with it. So, we’re seeing a lot more people with these conditions. USDMT: What drives your market? PE: We started looking at claims and different sized employer health plans, and consistently we saw upwards of 12 to 20 percent of their populations with digestive diseases vs. diabetes — on average about 14 percent. The other thing we were amazed about is the cost per person per year. We started looking at an average diabetic, which typically runs about a cost of $13,000 per year per person on average. This reflects the trend of those with autoimmune diseases, such as Ulcerative colitis and Crohn’s, starting to use specialty drugs. These medications are usually IV treatments where you have to sit somewhere for hours, running $5,000 – $10,000 per treatment. So, we were seeing claims cost go way, way high – especially for people with those conditions — anywhere from $18,000 – $120,000 per year per person. The other thing we looked at is productivity and absenteeism, and typically we saw people with chronic conditions have 10 to 12 days of missed work. People with Crohn’s and Ulcerative colitis were missing 35 days on average. we consistently find that some employees with these conditions will utilize the ER at a higher rate than what we normally see. Due to the stigmatizing and embarrassing types of symptoms, they are more likely to go to the ER, if they cannot see their GI doctor soon. It’s part of our value proposition– we bring 24/7 support, which in turn reduces unnecessary ER visits and saves money. USDMT: What is the market reaction? PE: These chronic conditions are not like other health issues, where it’s easy to openly talk about them. Nobody wants to say, “Hey, I’ve got diarrhea and/or constipation and I’m miserable.” It really is neglected, and a lot of these people live in constant anxiety and fear. In our experience, we see many who are on anti-depressants or anxiety medications. We know there’s obviously a connection between the gut and the mind. That’s a big part of why we provide the psycho-social care as part of their coordinated care. We use clinical nutrition programs to identify the specific food substances which can cause flares for individuals. Each person is different and our structured program addresses those differences. We found that about 75 percent of them respond very well to a structured plan where we figure out exactly which foods exacerbate the condition. We connect them with a clinical dietician to figure this out, and do a microbiome test where we figure out the good and the bad bacteria. This allows the dietician to begin to figure out what foods are likely to cause issues for the person, how to limit those from their diet and provide ways to eat that are manageable. The third component is medication management and adherence, and we have a pharmacist that works with the individuals. Aside from the many medications that these people are already taking for intestinal distress, they’re probably taking of other medications. Our pharmacist can see that whole picture and work on adherence and education, as to the benefits of the drugs along with expected side effects. We also provide personal programs through our artificial intelligence to be able to see what that person needs the most help with. Is it medication management? Is it psycho-social? Nutrition? It’s a four-pronged approach through their mobile phone, personal device or computer. It is real human interaction and not just technology. Our intelligence and engine alerts are unique to us, but there is also an ability to access our care team 24/7 and get real face-time interactions. We also do what we call “Gut-side monitoring”. If a member records symptoms that flag an alert, our nurse reaches out 24/7 to assist. For example, if they’ve been having severe diarrhea for days and aren’t sure why, we help prevent unnecessary ER visits. Also, we believe that as we can help these individuals reduce symptoms in a more holistic way, they will be able to work with their GI physician and reduce the amount of high-cost specialty drugs they are taking, such as Humira or Remicade, which can literally cost THOUSANDS per month. USDMT: Is it available in the United States or worldwide? PE: Right now, it is only in the US. It will work outside the US but is currently in English only. We are a young company that has been around a little over two years. Since it is scalable, and it is a solution that could be global, that would be something for the future. USDMT: And how do you sell in the market? PE: We are looking into opportunities with self-funded employers directly. We presented at National Business Group on Health back in November. There were only ten start-ups that were invited as finalists, and we were one of the ten who presented to 26 Fortune 500 companies. We think there’s a great opportunity to reach a lot of organizations and scale a bit quicker if Third-party administrators (TPAs), Carriers and other health and wellness companies could partner with us, and allow us to reach employer groups at a faster rate with this innovative, and high value solution. USDMT: Would employers offer it as a benefit? PE: We are hoping that it is going to be provided to the employees with first dollar coverage for those that need it. Generally, if we engage with the employer directly and work with them, we are going to provide the materials to market to the employees. We have an option to charge the employer only for active participants per month. That is unique because a lot of wellness companies are trying to charge something for every employee even if they are not using the benefit. USDMT: How do you measure ROI? PE: Basically, we look at the claims, the prevalence of conditions, the types of conditions, the science behind those conditions, and pay close attention to those with disease progression. After reviewing all these factors, we can project how much money we will save the organization annually, and then we offer to put performance guarantees in place. If we do not do what we say we can do, then we put revenue at risk. That’s how confident we are in the power of our solution to improve healthcare and reduce costs. USDMT: Is your program a first of its kind? PE: Yes, we are the first and only coordinated care company, focused on digestive disorders, which affects 70 million Americans. It’s a very exciting opportunity to bring this to so many people who badly need it!